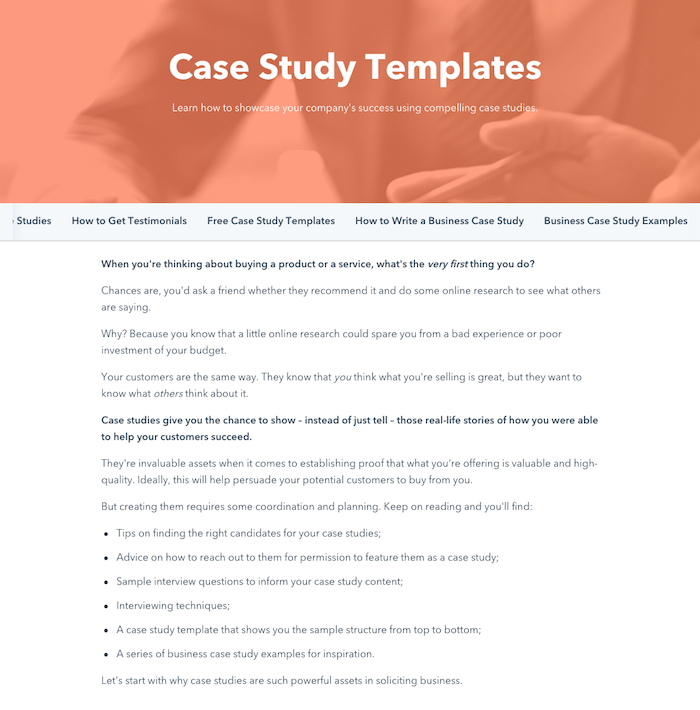 Unlock case study tips and templates today. 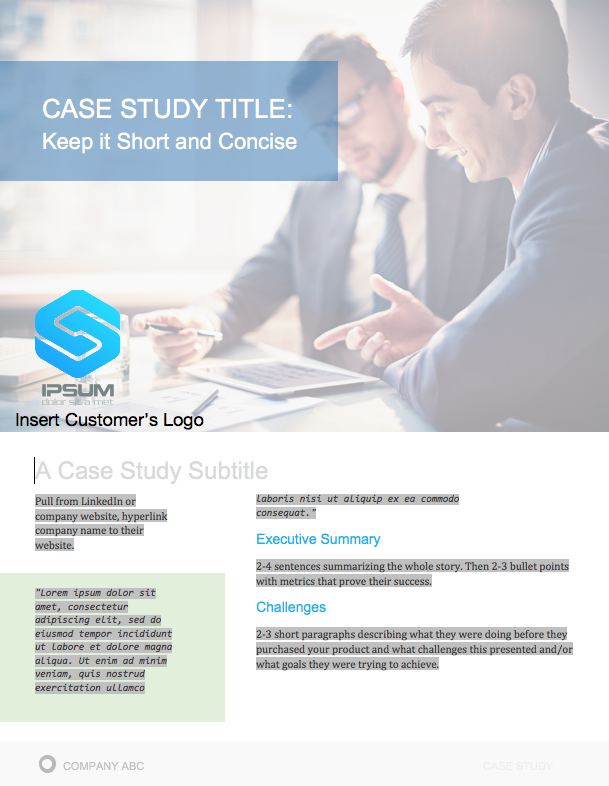 Learn how to showcase your company's success using compelling case studies. Case studies give you the chance to show – instead of just tell. When shopping for a new product or service, you'd trust the customer who's already used the product or service over the sales guy. Getting a real-life opinion from someone is always more helpful, because it’s both unbiased, and often rooted in a common experience. Case studies add authenticity to your business, as well as credibility and social proof that your product or service has truly helped others overcome their challenges and achieve their goals. 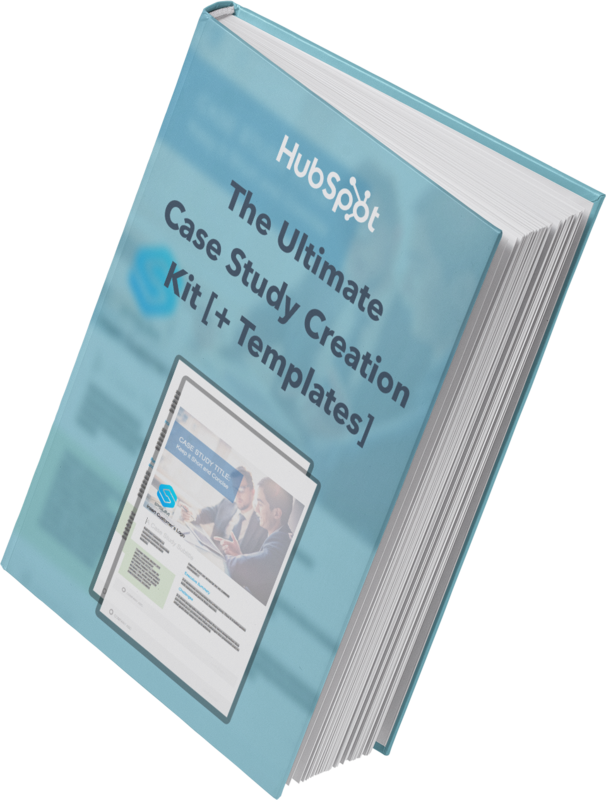 Case studies help your leads envision how your product or service would fit into their lives, and often act as that missing piece that moves them to take purchasing action. 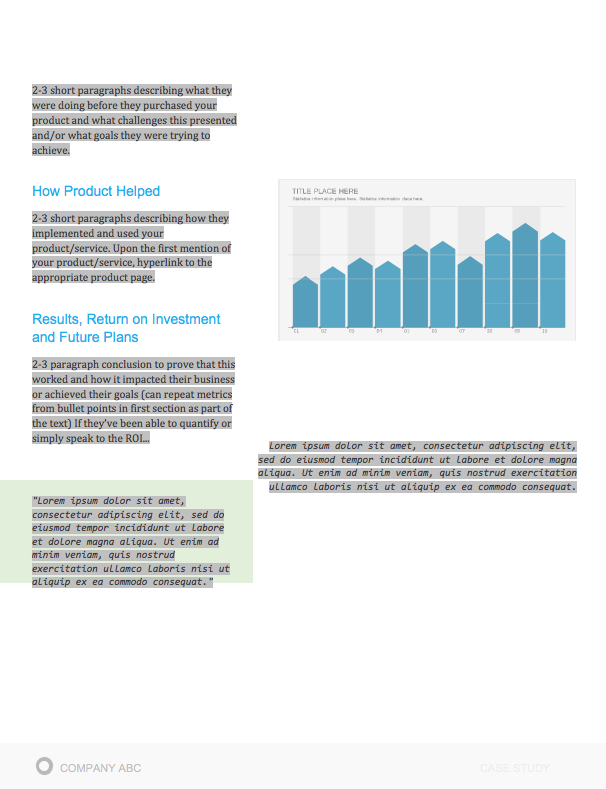 Need help getting your first case study off the ground? Look no further. We've put together a comprehensive guide, complete with templates, designed to make the process a whole lot easier.